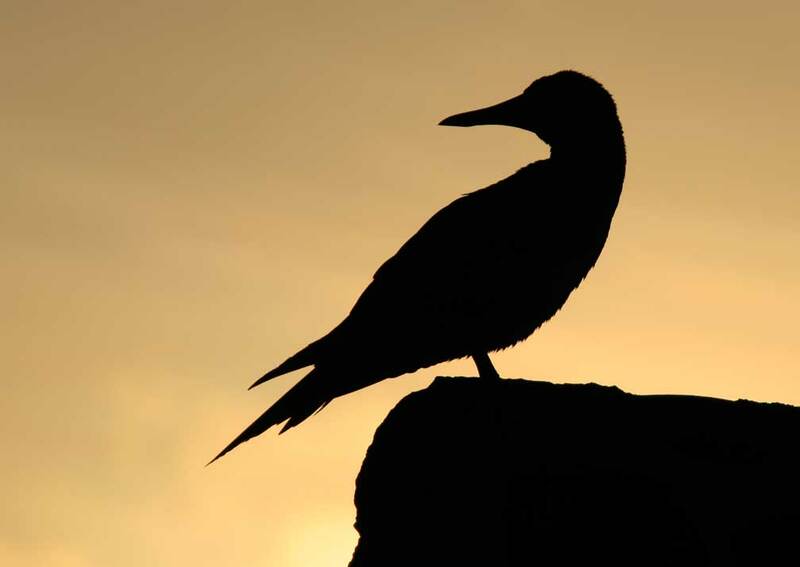 Staying on 3 different islands gives you an insight into the varied animal, marine and bird life, and meet local people and learn about the archipelago’s history. 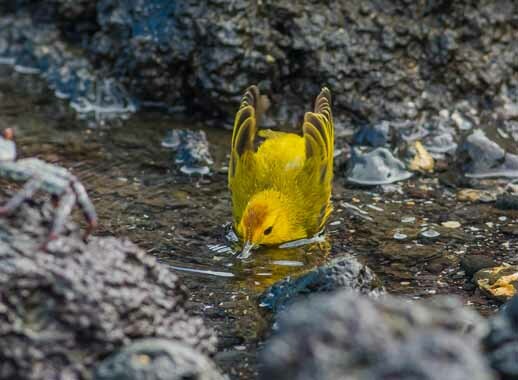 Spend a week in the Galapagos Islands, staying in 3 distinctive properties on different islands lets you gain an insight into life in the archipelago. 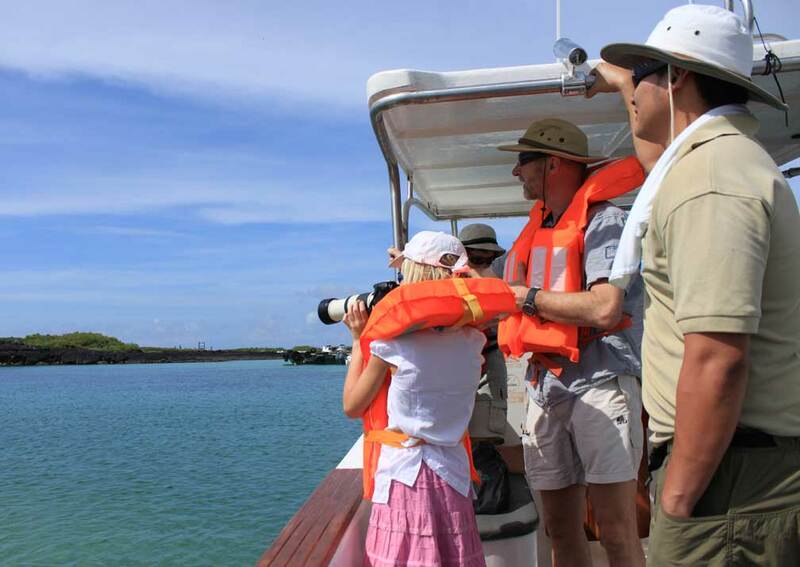 You have plenty of time to observe the varied animal, marine and bird life, as well as to meet local people and learn about the islands’ geology and history. This is an active trip, suited to those who like to get out and about with opportunities for walking, hiking, kayaking, paddle-boarding and mountain biking. This allows you to explore areas few visitors see, away from the crowds. 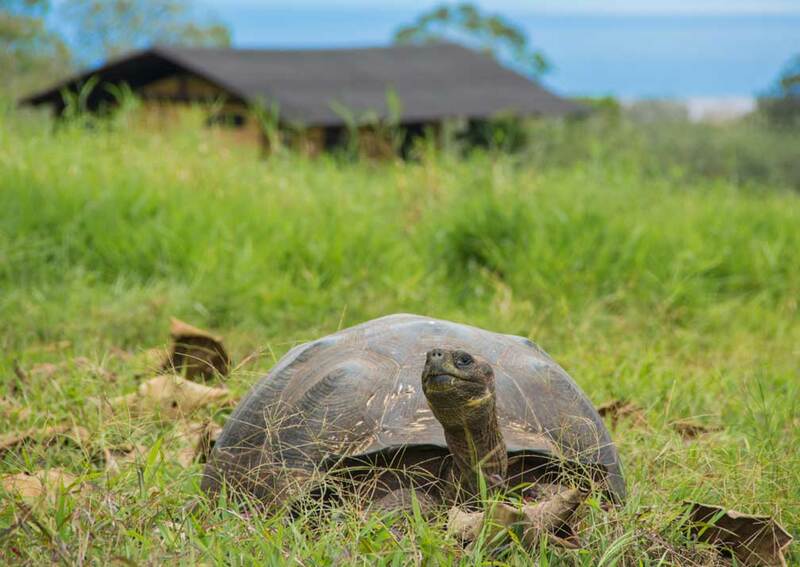 Not that you miss out on main highlights: you’ll get to see the amazing, oft-photographed views from Bartolome, the ‘miniature Galapagos’ of Tintoreras and the highlands of Santa Cruz with their lumbering giant tortoises. You stay in a lovely selection of places. On Santa Cruz you are guests on a private farm with the whole hillside to yourselves, ending each evening round the campfire before retiring to bed in your cosy tent. 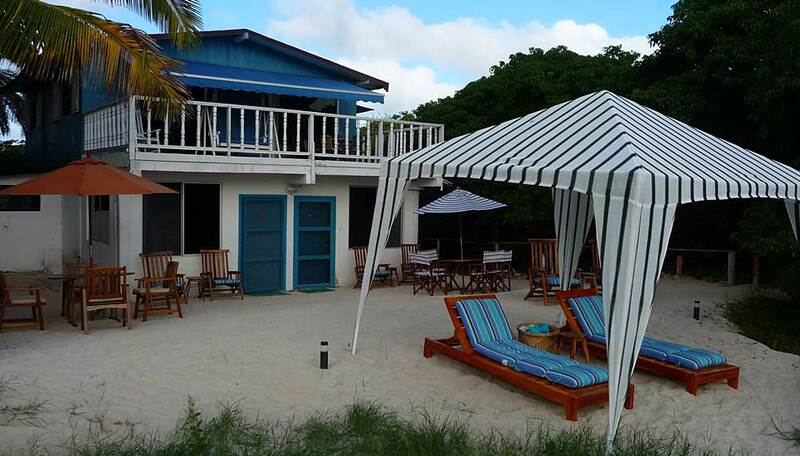 On Floreana home is an air-conditioned wooden cabin facing the ocean, with a communal lounge and bar, and on Isabela you stay in a an attractive 10-bedroom hotel facing a gorgeous golden sand beach. 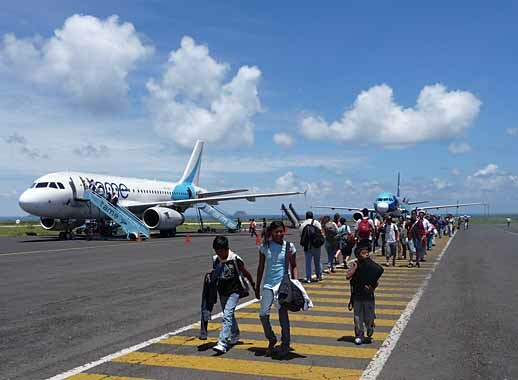 A guide meets you at Baltra airport, where there’s time a refreshing drink and change of clothes before heading to the Itabaca Channel that separates Baltra from Santa Cruz, where your adventures begin. 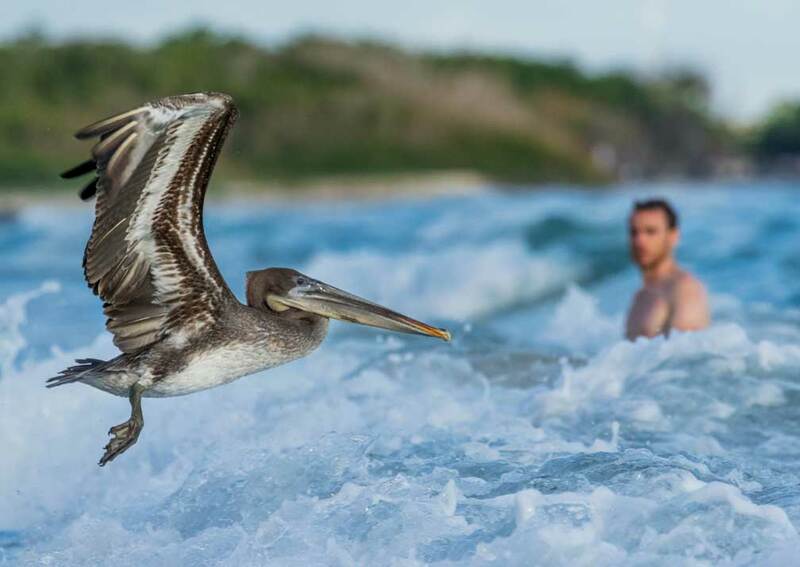 There’s a choice of kayaks, stand-up paddleboards and snorkelling equipment to enable you to observe the wildlife such as sea lions, white-tipped reef sharks, herons, pelicans and blue-footed boobies. 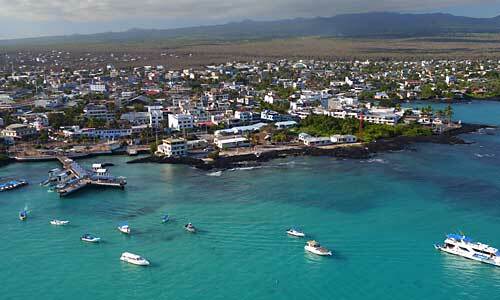 Back on dry land you visit the highlands of Santa Cruz, home to giant tortoises, icon of the Galapagos. This is also the location of the camp where you spend the next 2 nights. Enjoy a tasty dinner followed by drinks round the campfire before a night camping beneath the stars. 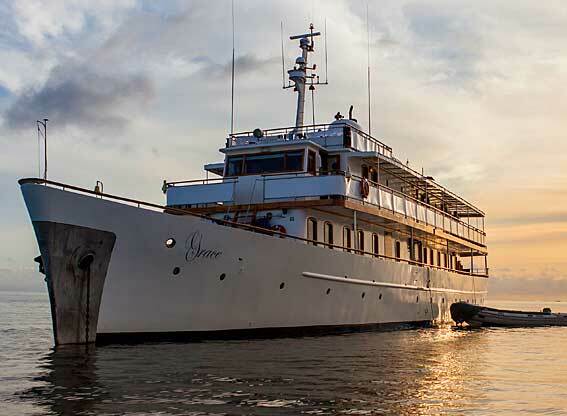 This morning you take to the seas aboard the Sea Finch yacht, sailing to Bartolome. On landing you follow the path to the island’s highest point. From here you witness arguably the best known view in the archipelago, looking down to the peninsula’s bays with Pinnacle Rock to the right and the outline of Santiago Island in the background. 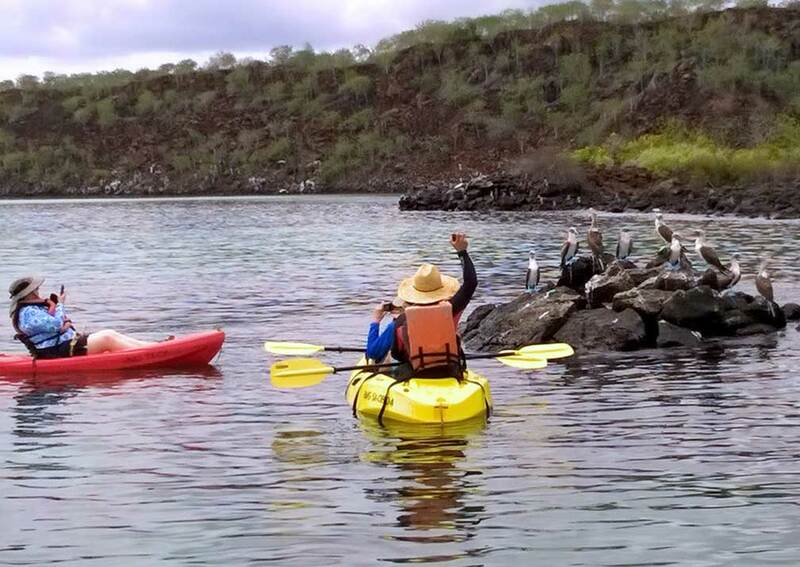 Next you have a panga ride by the cliffs with good chances of seeing Galapagos penguins, and some beach time to observe sea lions and do some snorkelling. Lunch is eaten on the yacht before sailing back to Santa Cruz. 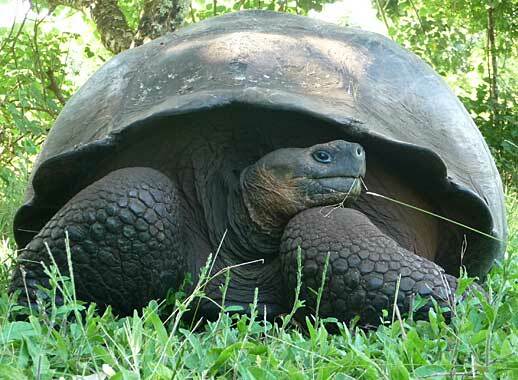 There is an optional afternoon excursion to the Charles Darwin Research Centre where you can see giant tortoises at the breeding centre, and a visit to Puerto Ayora before returning to the camp. 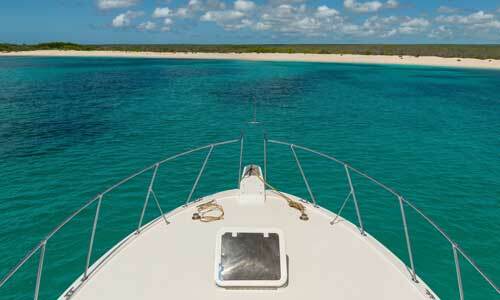 After an early breakfast you travel by speedboat to Floreana, a journey of about 2 hours. On arrival you board an open-sided bus to Lava Lodge, your home for the next 2 nights. It is run by Claudio Cruz, a descendant of one of the island’s original inhabitants and a fount of knowledge on the Floreana’s history. There should be time for snorkelling at Black Beach before lunch in the village. 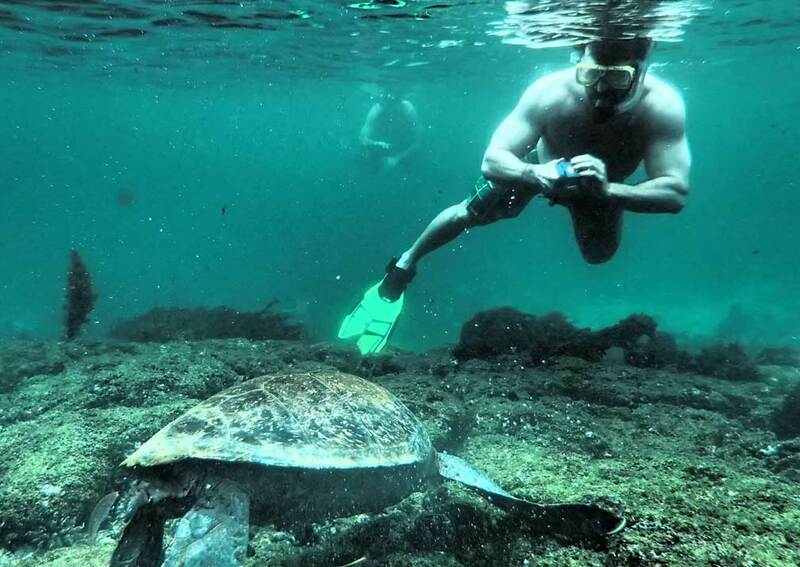 This afternoon you can set off in a kayak or on a paddleboard to see La Loberia, a sea lion breeding site, and go swimming maybe joined by fish, turtles and rays. Back at the lodge you can shower, watch the sunset and venture into the village for dinner. 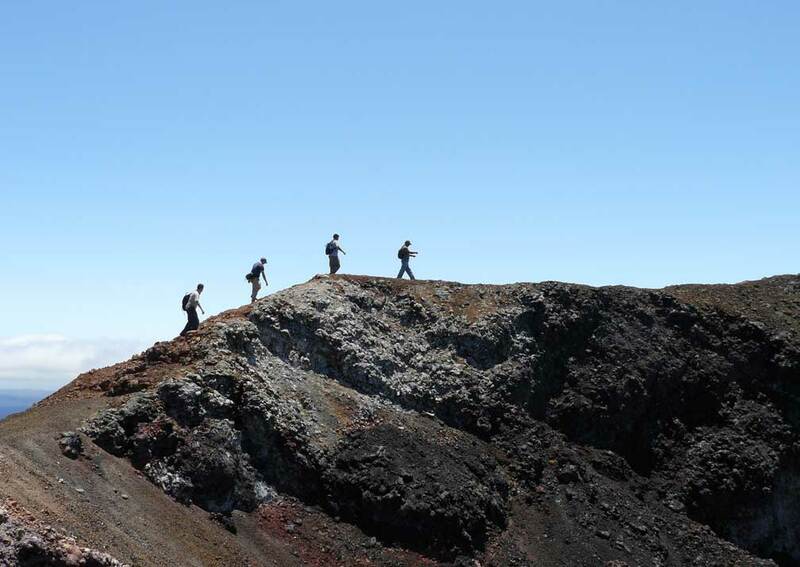 This morning you explore the highlands of Floreana for a hike. This starts at Asilo de la Paz, site of the spring that provides fresh water for the whole island. Keep an eye out for giant tortoises as you walk, heading down into arable farmland, learning how farming has developed over the years. 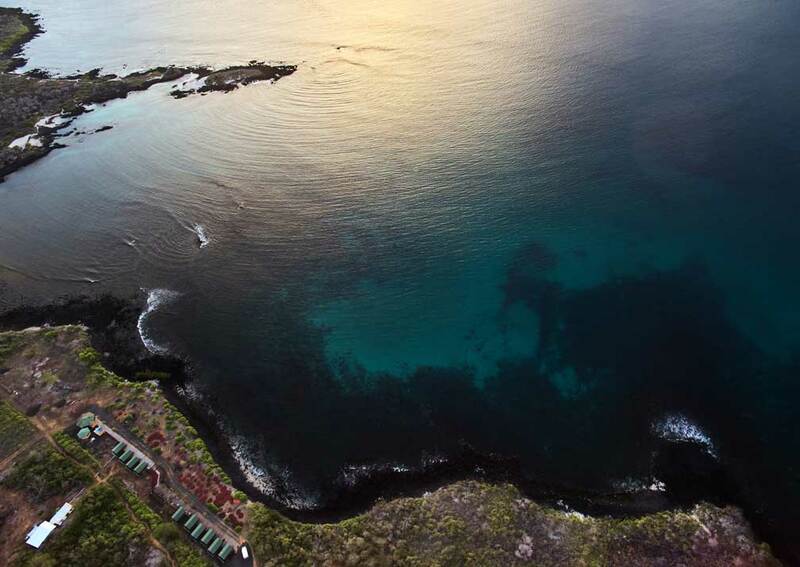 Back on the bus you drive to Claudio’s farm near the coast, where you can see frigatebirds, and on to Las Palmas home of the island’s very first inhabitant, Dr Ritter who took up residence in 1926. 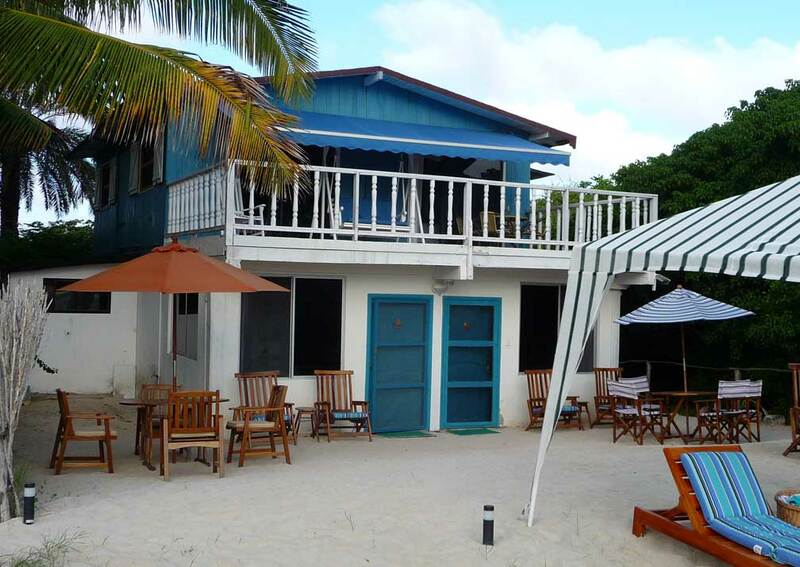 Nack at Lava Lodge you’re treated to a BBQ lunch, and the afternoon is free for you to spend as you wish: snorkelling, kayaking, paddleboarding or relaxing. 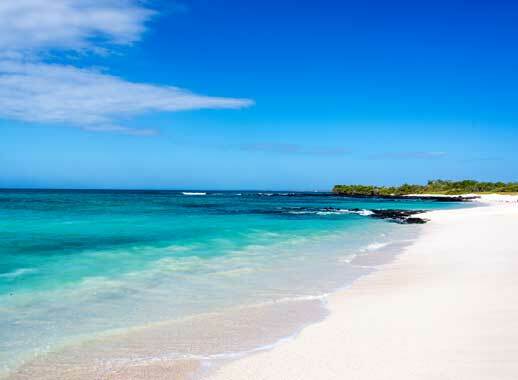 Take the morning speedboat to Isabela Island, where you check into Isabela Beach House for a 2 night stay. 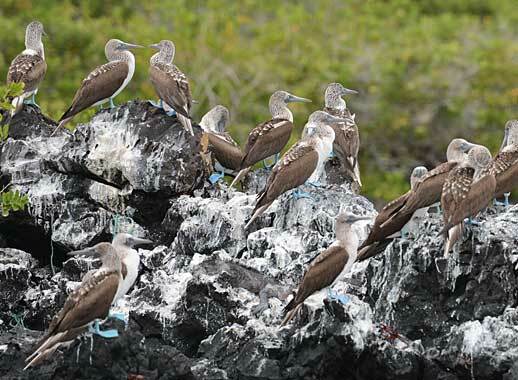 Later you visit the Tintoreras, a small island group sometimes referred to as Galapagos in miniature. There’s a whole host of wildlife here including white tipped reef sharks, rays, turtles, penguins, blue-footed boobies and the inevitable sea lions. Time is set aside for swimming and snorkelling. Set off by bike this afternoon following the Wetlands Trail which leads to the infamous Wall of Tears. This was built by prisoners at the US base in the late 1940s, many of whom lost their lives in this brutal labour. Cycle back to the guest house to freshen up, before the short walk into Puerto Villamil for dinner. Hiking day! 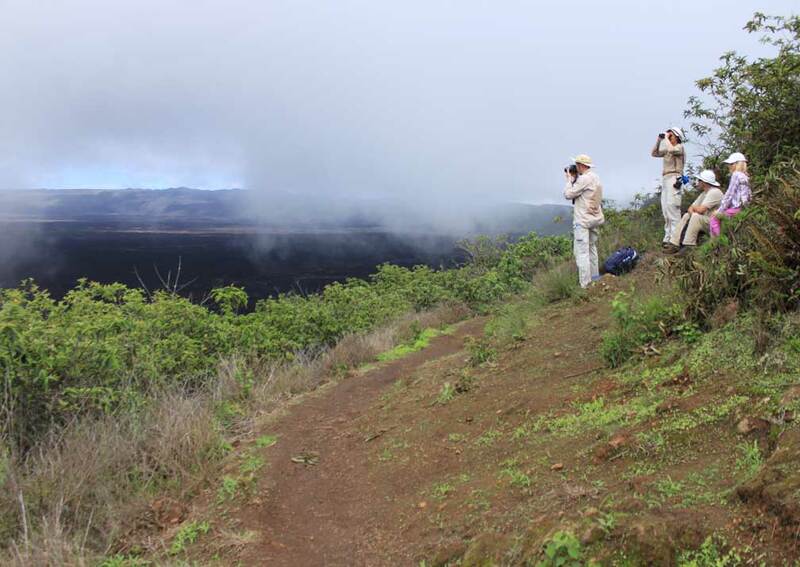 Stretch your legs on the climb up to the Sierra Negra volcano, looking out for flycatchers, finches, Galapagos hawks and short-eared owls. The view from the top down into and across the huge crater is spell-binding and well worth the effort. 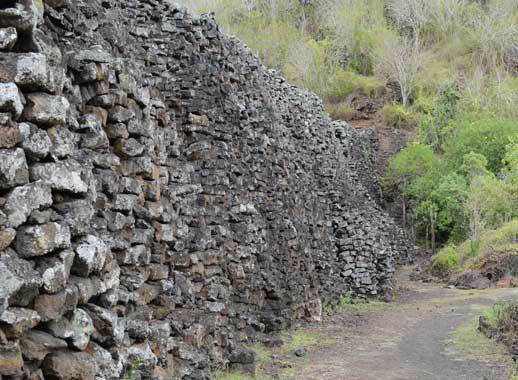 You walk on to Volcan Chico, through eerie volcanic landscape populated by tiny lizards. You’ve earned lunch, eaten as you enjoy views of central and northern Isabela and neighbouring islands. From here you hike back down to Isabela Beach House, in time for some relaxing beach time. Trekking distance is 16kms. 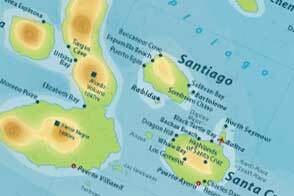 After breakfast by the beach you take the morning speedboat to Santa Cruz and transfer to Baltra airport for your onward flight. 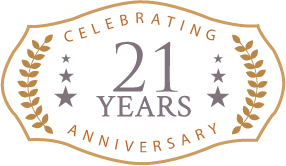 Departure dates: This is a private tailor made holiday that can begin on the date of your choice, subject to availability. 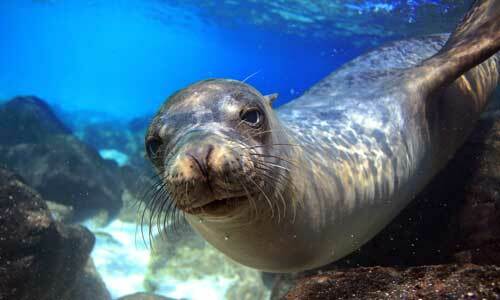 The Red Mangrove Lava Lodge is just 5 minutes from Puerto Velasco Ibarra, the main town on Floreana. 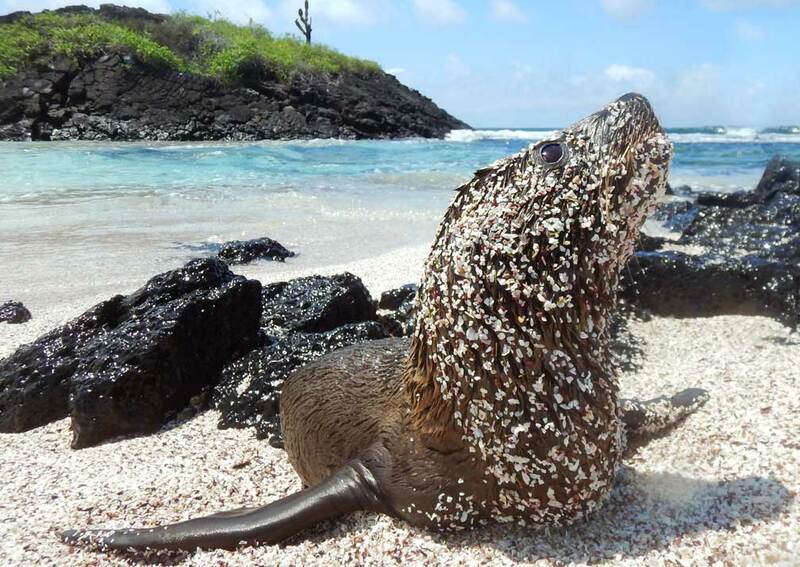 This is the smallest of the inhabited Galapagos Islands and the first to be populated. The pace of life on Floreana is pleasantly relaxed. 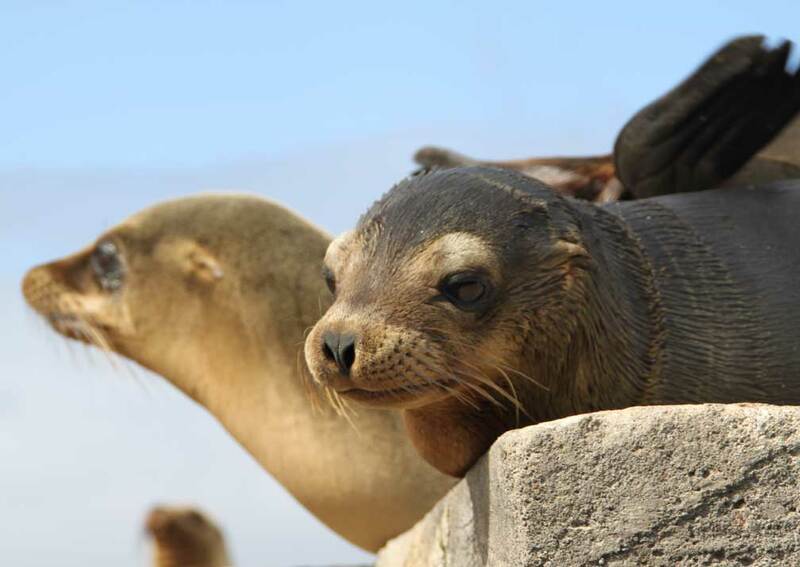 Lava Lodge is set on one of the most secluded bays on the island, a short walk from a lovely swimming beach and also close to the loberia, where you can observe sea lions. 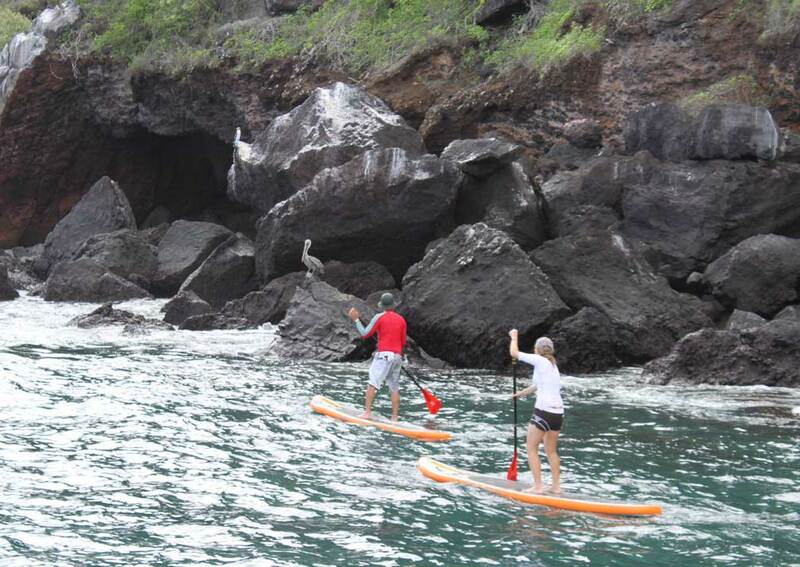 There are kayaks, paddle boards and snorkelling gear for you to use during your stay. 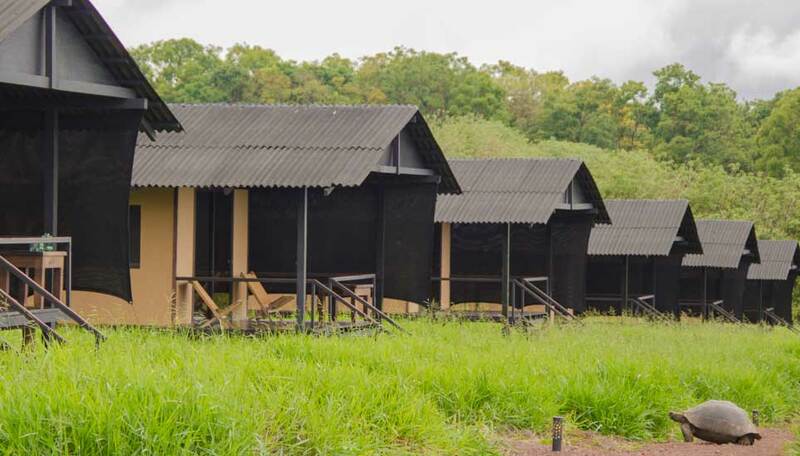 Accommodation is in 10 self-contained pine-built cabins, each with its own bathroom with hot and cold water, a large veranda and outdoor reading area. 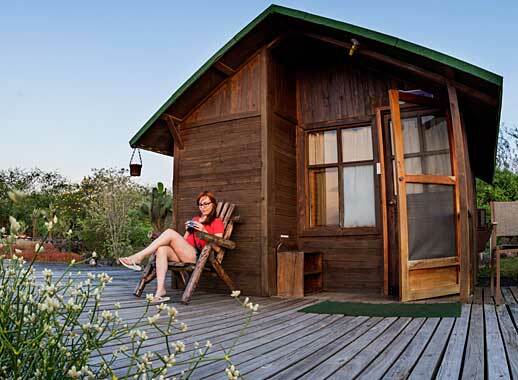 Cabins are air conditioned for your comfort. The lodge has a snack bar, the perfect place to enjoy a sundowner at the end of the day.